in solid 14 karat rose gold with diamonds around the stone. 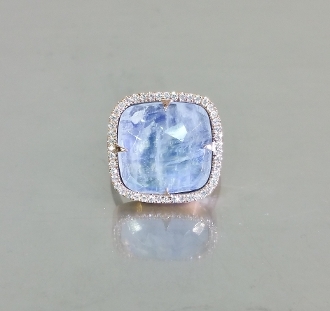 The size of the moonstone is 15x15mm. offers protection on land and at sea.